This was a test run for a demonstration I needed to do for a great group of ladies. I never would have thought that I would have the guts to cook and talk in front of people before, but I did and it was so much fun. I would do it again! They all loved this super simple and quick meal and couldn’t believe how easy it was. I chose this recipe to show them because I don’t know anyone who doesn’t like cheese or pasta. 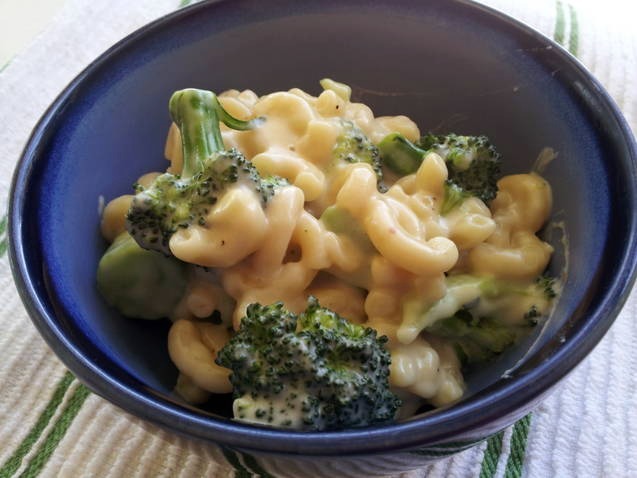 Plus, it’s so versatile you could use a different combination of cheeses, add any veg you’d like, make it an entrée by adding some protein or keep it as is for a side dish. Thanks for reading, enjoy! This looks so good…nice & creamy! Seriously, being a cheese snob is well worth it. Yum! I will definitely check that out, thanks!